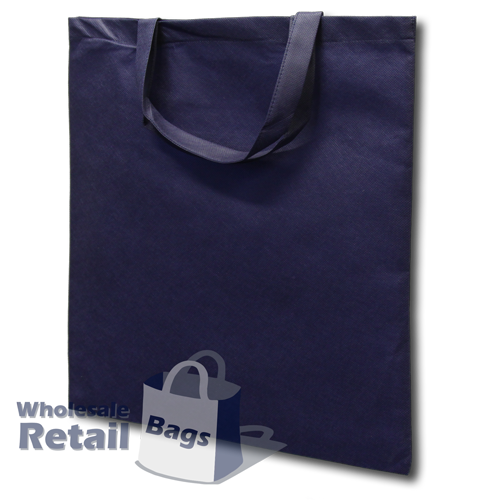 The basic nonwoven bag is the most inexpensive nonwoven bag amongst in our range. It's basically just a flat bag, it does not have a gusset running down the side of the bag. This means it only needs to be stitched around once, so it's less expensive to produce, however the volume we import in the nonwoven conference bag is very high, so the cost saving is only a few cents. The bag's handle length is also shorter, so it's carried instead of being placed over the shoulder. The basic nowwoven bag is very popular in similar applications to the conference bag - trade shows and business promotions. It's also used widely as a basic retail bag.